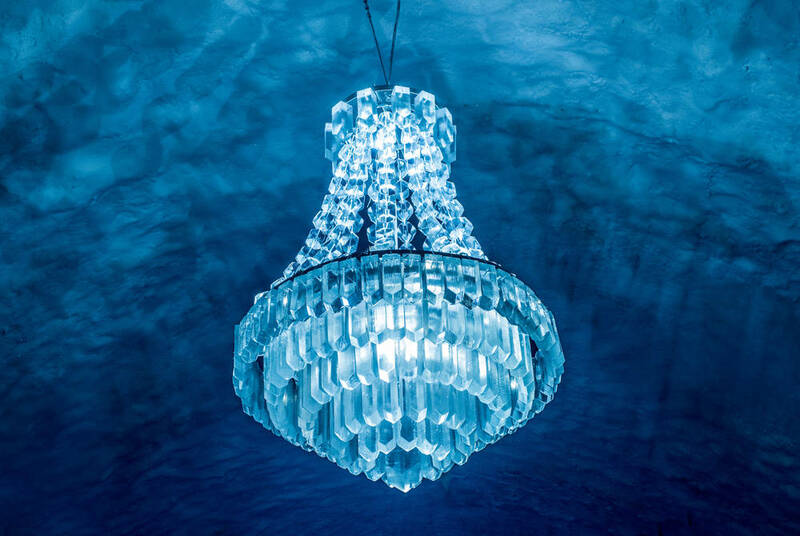 With a stay at the world’s first year-round ice hotel, this is your chance to combine beautifully frozen nights with summertime delights. 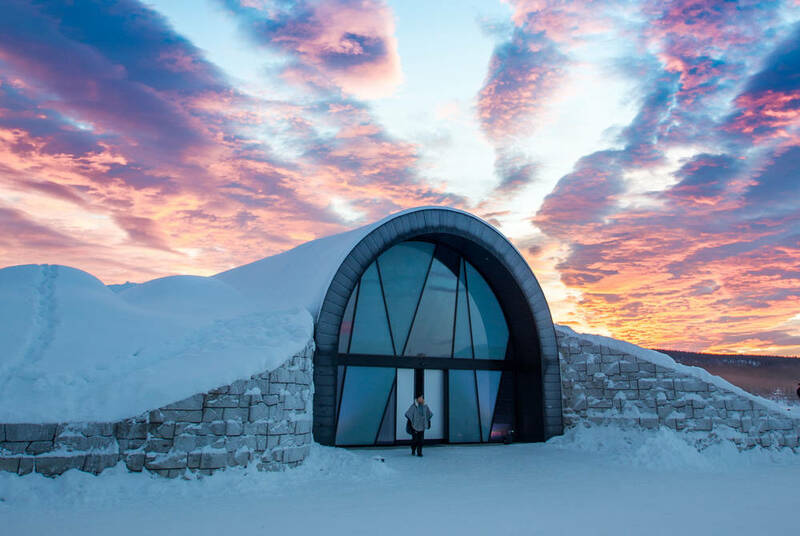 After sleeping in a suite of ice watched over by artist-carved wonders, you’ll warm back up with sauna visits, gourmet meals by a Michelin-trained chef and a full complement of optional activities. 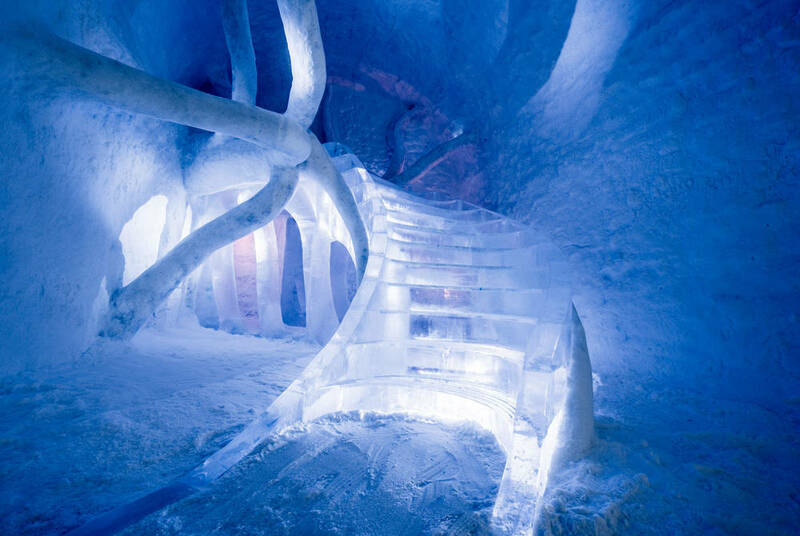 Showcase the natural beauty of Swedish Lapland’s wild remotes with ranging hikes, forest bike trails and river rafting all under the Midnight Sun’s soft glow, ironically the ICEHOTEL 365’s refrigerating power source. 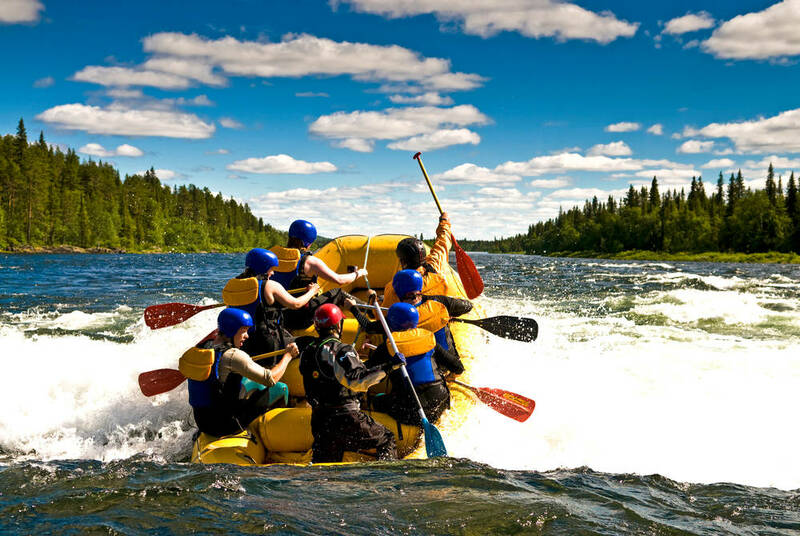 Flying out to Kiruna, deep in the wilds of Swedish Lapland, you’ll be met at the airport and brought the short distance to the ICEHOTEL 365, crossing rivers and plunging through evergreen forests. For a warm welcome into the cold, we’ve organised a tour of the hotel, with your convivial hosts pointing out the intricate details in the building’s vaulted architecture and mesmerising sculptures. 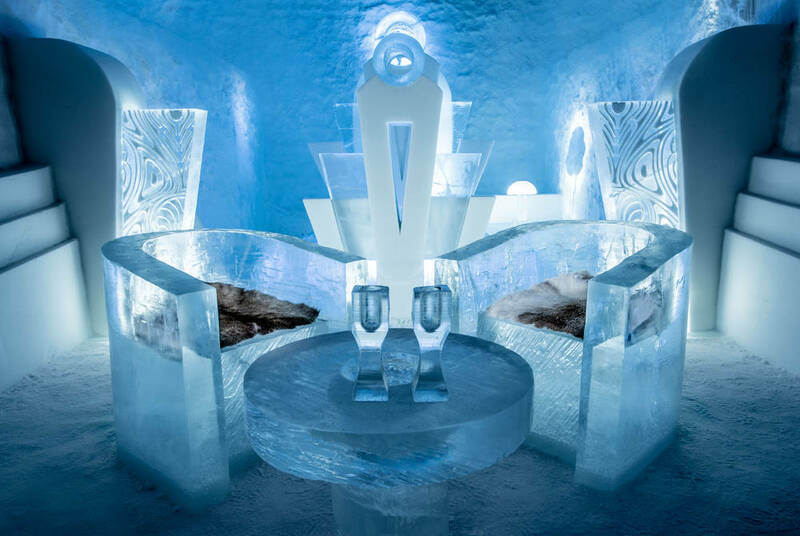 You’ll also be introduced to the ice gallery’s artistic extravagances and the ICEBAR BY ICEHOTEL where everything from the seats to the drinks glasses are frozen. 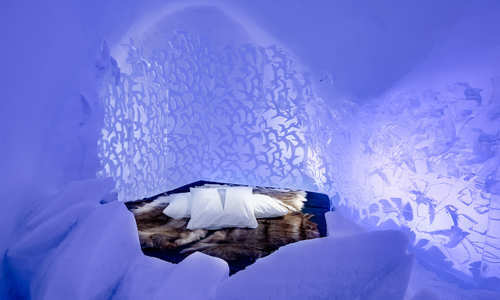 Then, it’s time to settle into one of just nine Art Suites, bedding down on a slab of ice as ethereal lights beautify your spectacularly carved room. 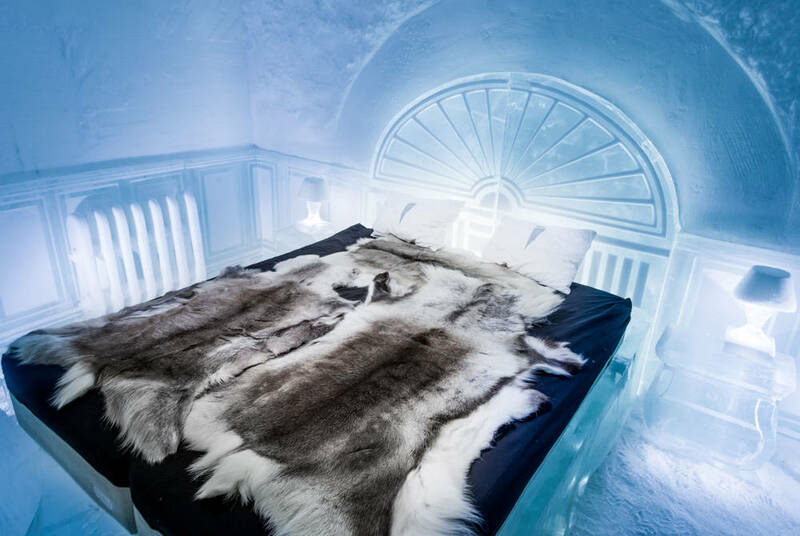 To keep you cosy, you’ll be provided with reindeer skins and thermal sleeping bags. 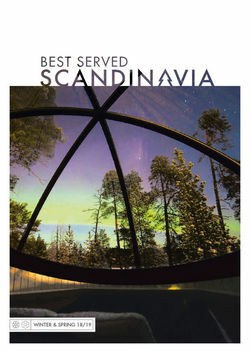 Today you’ll wake to a steaming lingonberry juice before warming up with that favourite Swedish tradition – the sauna. You’ll then be treated to the first of your included breakfasts, enjoying a hearty selection of local delicacies and international favourites designed by a Michelin-trained chef. It’s the ideal fuel for two days spent exploring your spectacular surrounds. 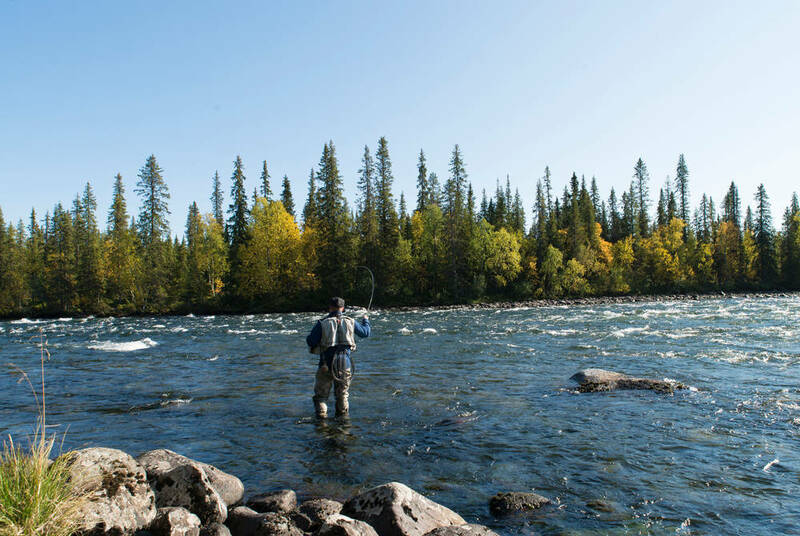 Here, dense forests carpet jagged mountains that spill down onto placid lakes and rushing rivers alike. 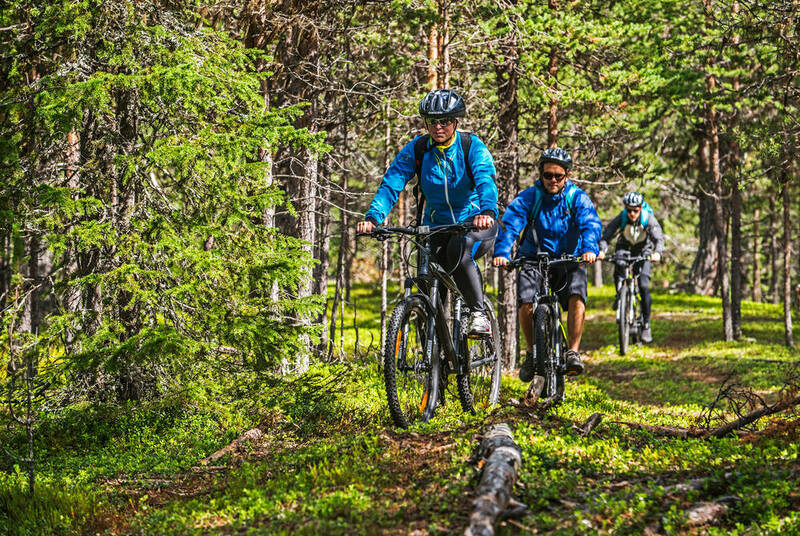 Make the most of it with everything from bike rides, hiking trails and rafting to wilderness-skills sessions, fishing adventures and even ice sculpting. It’s all made that bit prettier by the postcard-perfect glow of the Midnight Sun. 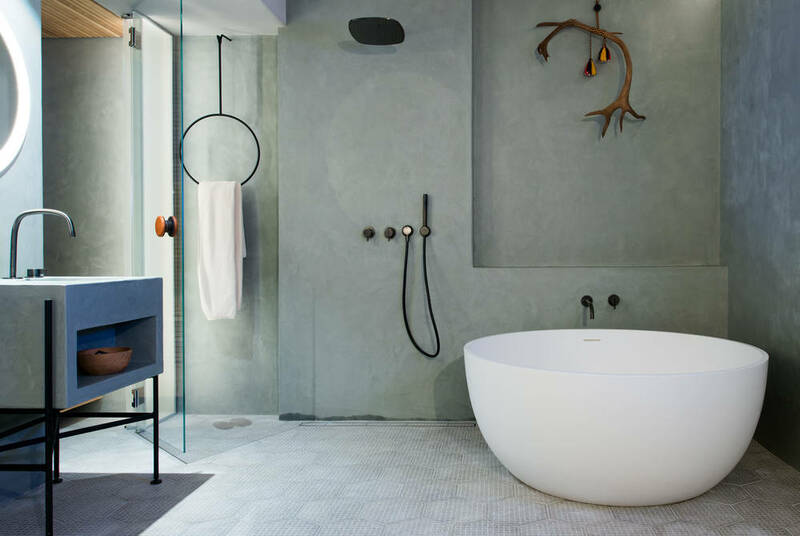 And, each night you’ll return to the comforts of a warm chalet, all Scandinavian chic and blonde-wood accents. After a final breakfast, your included transfer will see you back to the airport for your flight home. 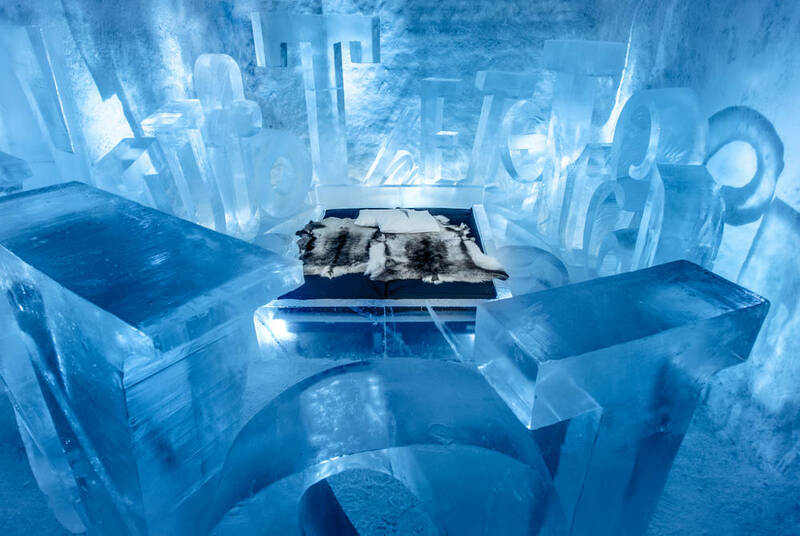 As Sweden's ICEHOTEL invites applications for designers to create next year's Art Suites, we look at what it takes to be an ice-sculptor extraordinaire. 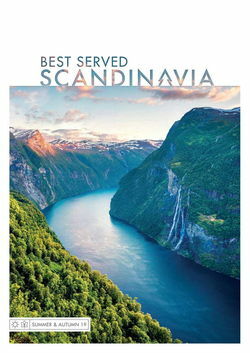 Scandinavia features some of the world's most innovative accommodation. 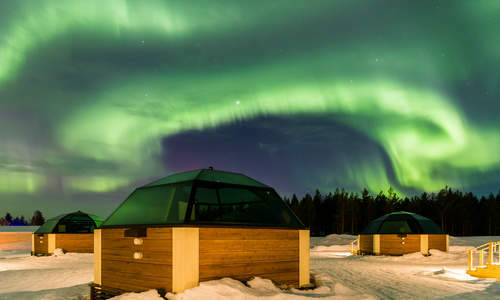 And, our destination experts have put together this selection of the region's finest, from glass igloos and snow hotels to artsy treehouses and wilderness camps.